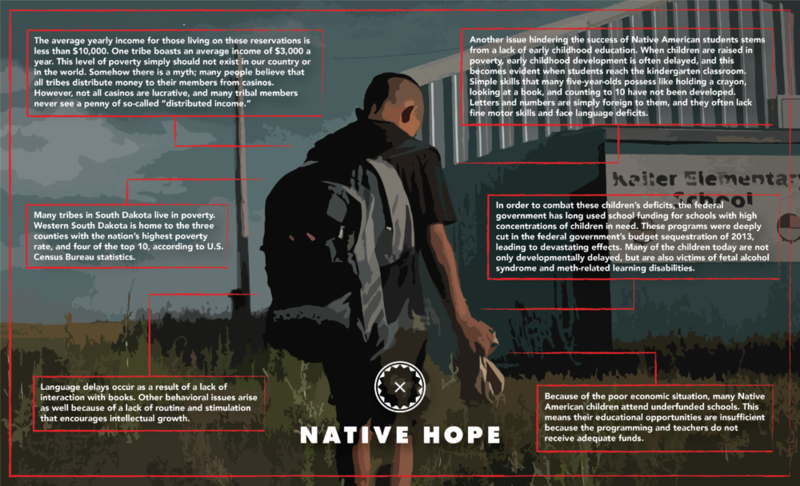 Native American youth are facing a daily struggle of walking in two worlds: the Native world and the contemporary one. These are two very different places—especially when it comes to education. Post- secondary education is even more dismal with only 11 percent of all Native Americans earning a college degree. There is a generation of Native American youth, however, who are changing the status quo. They are embracing the power of education as an undeniable tool for creating a path filled with possibility and life. Although many Native American tribes and youth are making great strides toward economic improvement on their reservations, there are many who continue to struggle. The reservation is a culture within itself. It is home. How can a cycle be broken if its people fail to receive an education? This is an age-old argument faced by many. Tribe members often say, “Go get your education and come home to change this place.” However, leaving is much easier said than done. For most, the reservation is all they know. Some reservations have as high as an 80-90 percent unemployment rate. This rate contributes directly to the high levels of alcoholism and drug use. The reality is that while many will encourage the youth to take that step toward gaining more education—there is a pull back to the reservation that is overpowering, regardless of the low employment opportunities. Thus, the cycle continues. In this same article, one student stated, "We see beauty here, and we want to change life on the reservation for the better." In response to King’s visit to the reservation, Wolf Creek Principal Jeannine Metzger added, "What are those ways that we can build and support our students? [To show them] that there’s hope, hope for the future, hope that they can create a community the way they want it to be and live their life in a way that they feel best." The president of St. Joseph’s Indian School, Mike Tyrell, explains how early intervention and educational opportunities can give Native Americans the tools to succeed not only in school, but also in life, strongly stating, “We promote hope! Furthermore, we believe that promoting strong family units, increasing child wellness, and providing quality education are effective approaches to solving present-day issues.” St. Joe’s offers several programs that encompass reaching first graders all the way through high school seniors. They also offer a program designed for high school graduates, designed to help students transition into the next phase of life. All of these programs are designed with one goal in mind: to help Native American students succeed and have a new path for their future. There is strength in unity. Will you partner with us as we seek to offer the power and privilege of education to this generation of young Native Americans?